Revolt of the Comuneros: The citizens of Castile (Spain) rise in revolt against the rule of Charles V. Their demands include the cancellation of recent tax increases and more local autonomy. The revolt gains widespread support throughout the Kingdom of Castille, but is finally defeated by military force by October 1521. The Battle of Culloden: British forces defeat the Jacobite uprising in Scotland. After the battle, the British, under the command of the Duke of Cumberland, take brutal reprisals. Wounded men still lying on the battlefield are put to death. 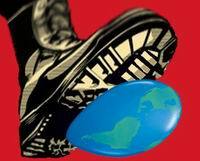 Others are put on trial and then executed, or transported to the British colonies. 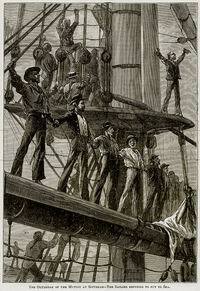 Spithead mutiny: Sailors on 16 British ships in the Channel Fleet mutiny against poor living conditions and low pay. Despite infliation, sailors’ pay in the British Navy had not gone up in 140 years. The sailors elect delegates and ask to negotiate with the Admiralty. They manage to win improved pay, the resassignment of some unpopular officers, and a Royal pardon for all sailors accused of mutiny. 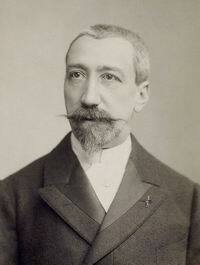 Birth of Anatole France (1844-1924), French author. In 1922, he achieved the “distinction” (his own word) of having all of his works placed on the Roman Catholic Church’s Index of Prohibited Books. U.S. forces intervene in Colombia to ‘protect American interests’. In the wake of the February Revolution, V.I. Lenin, Grigory Zinoviev and other exiled Bolsheviks arrive in St. Petersburg from Switzerland.